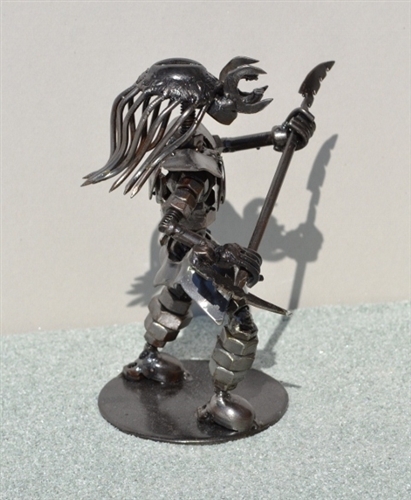 Predator 6.5 inches (14 cm) with spear. 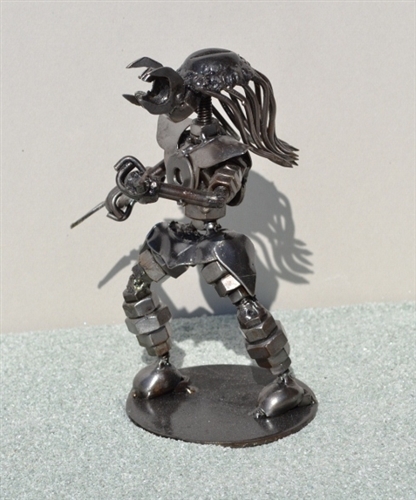 This amazing PREDATOR sculpture is approx. 6.5 inches tall and has a lot of detail for its size. It comes with a removable spear and a movable head and torso. Our artists used nails, nuts and bolts for this piece. The work on this piece takes about 5 hours.